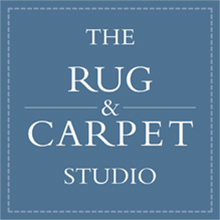 The Rug & Carpet Studio’s innovative bespoke rug service attracts commissions from interior designers, architects, corporate businesses as well as private clients. Our skilled weavers in Nepal and India practise the ancient art of weaving to produce exquisite hand-­­­­woven silk and wool rugs exclusively for us. We offer all customers a highly professional design service. This service includes an initial consultation either in our design studio or an on- site visit. Whether you want to match a colour scheme, fill a particular space, incorporate pieces of furniture or complement artworks, our bespoke service allows you to adapt an existing design from our extensive catalogue in your choice of colours and sizes, or we can work with you to create something entirely new. Our experienced in-house designers are on hand to guide, discuss, draw up design ideas and give expert advice on techniques that might be most suitable. 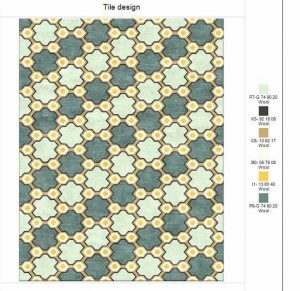 Using our specialised software our designers can produce an initial graphic image of how your rug will look. With 100’s of colour tufts to choose from there is no need to compromise and we also offer a ‘dye to match’ service. 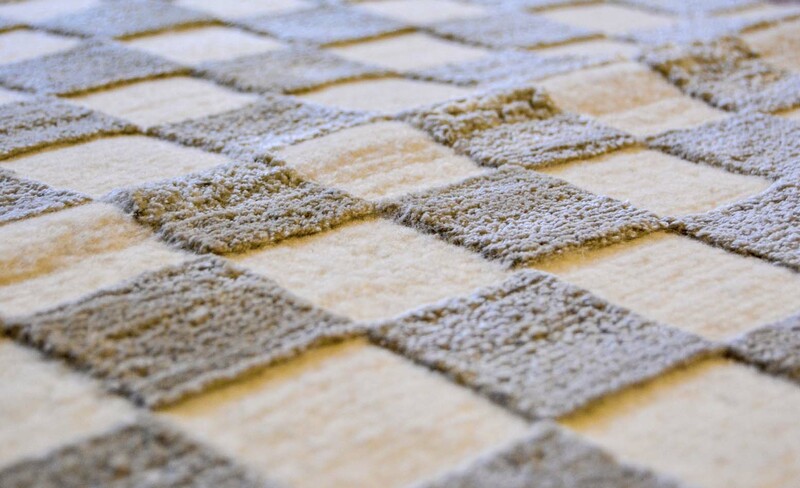 We have a selection of yarns and many different weaving techniques which can all be incorporated to produce the perfect rug. Once you are satisfied with the finished design and colours, the wool is dyed and the rug is hand-woven by our team of master craftsmen. Delivery time is usually 12 to 14 weeks but this is dependant on the size of the rug and may take longer. 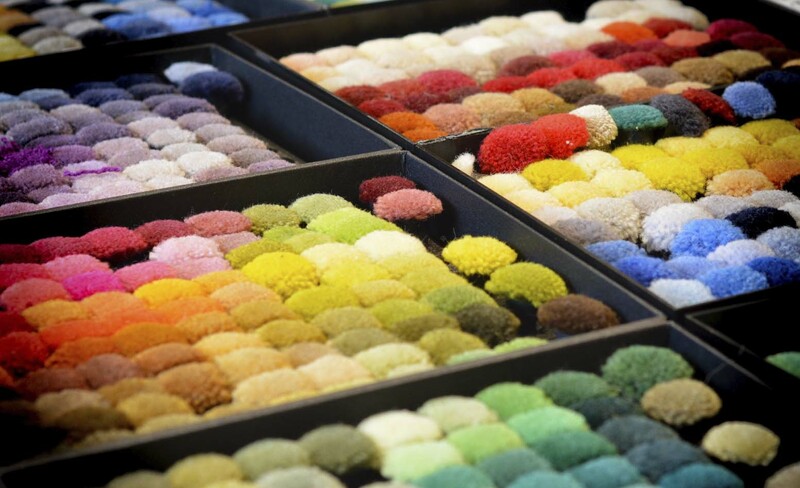 If it is a particularly large rug then a small sample can be produced for approval. It is at this stage that any design or colour corrections can be made. We simply ask for a 50% deposit paid upon approval with the balance payable upon delivery. Our knowledge of historical carpet designs and settings allows us to be historically accurate with the styles, textures and colours of different eras. This combined with our expertise and experience in production enables us to design and produce carpets and rugs sympathetic to the room. We offer a unique service where we can reproduce a carpet to the original design. 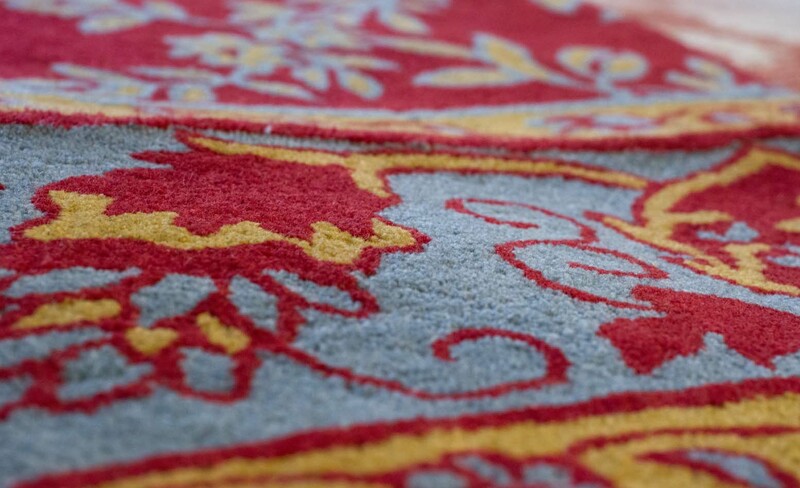 The carpet is durable enough to withstand wear and tear and is often produced at a fraction of the cost of replacing it with an antique carpet. 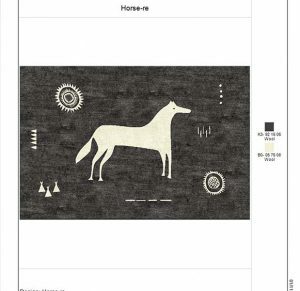 The horse design rug was made to replicate the design on our client’s fabric, featuring simple animal images. The rug was hand-woven in Nepal using only two colours and made in a 60 knot pile. 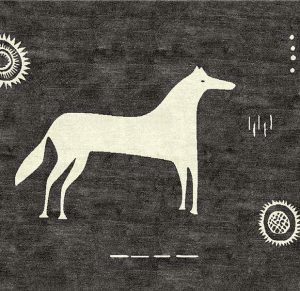 This rug was one of a pair, the second being in the image of a deer. 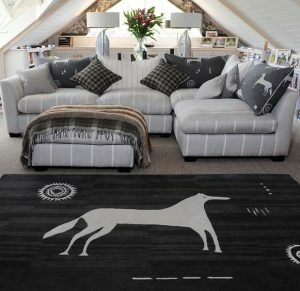 Our client was thrilled with the end result and the rugs look superb in their surroundings. 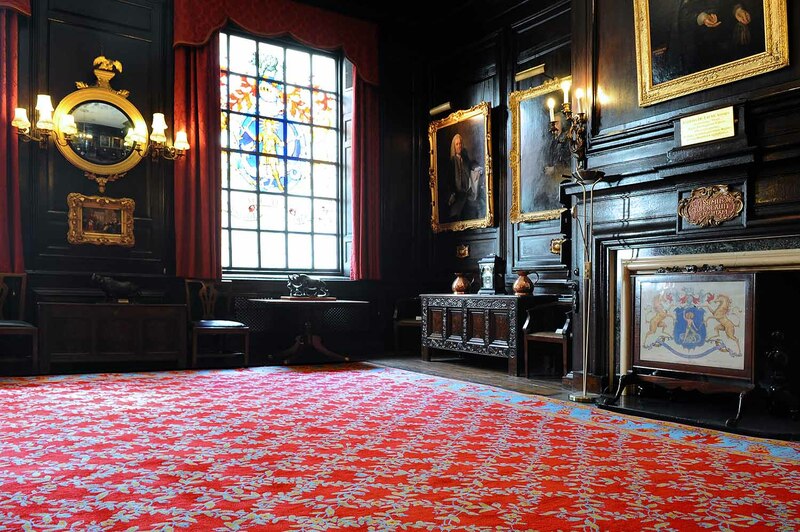 The Society of Apothecaries, a livery company with its historic hall in the City of London, contacted us because their original Axminster carpet situated in the Court Room needed replacing; the passing of time and heavy traffic generated through the commercial use of the room had led to the carpet becoming damaged and worn in places. To replace the Axminster with a traditional hand-knotted carpet at a size to fit the room (9.14m x 9.14m) was not a viable option as antique carpets are rarely found in this size and the cost to produce a new hand-knotted carpet such as this was prohibitive for a carpet which would still have to withstand heavy wear and tear. The Juliette carpet is hand-tufted with a 100% New Zealand wool pile, renowned for its quality in terms of softness, durability and colour clarity, which makes the finished product comparable to a hand-knotted carpet. 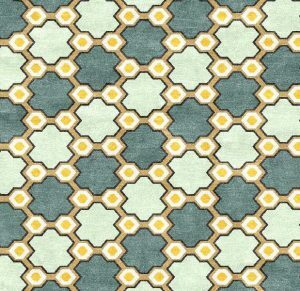 The border design of the Juliette carpet was inspired from a border of a traditional carpet and the all-over pattern was created in a similar style. The design works with the room and allows for the varying placement of furniture. A sample of the design was made and viewed in the room as the as the colours can look very different in situ. With the Court Room’s dark oak panelling, the deep red colours of the first sample appeared too dark and a further sample was produced in brighter tones. This looked perfect and was made into the beautiful Juliette carpet found in the Court room today. Our knowledge of historic carpets and settings, combined with our expertise in production, has enabled us to design a carpet sympathetic to the room. 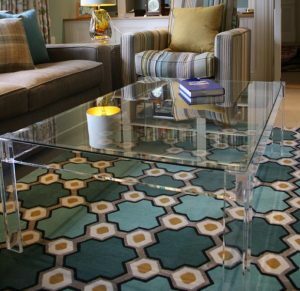 The carpet is durable enough to withstand wear and tear and has been produced at a fraction of the cost of replacing the Axminster with an antique carpet.